After waiting for what seems like an eternity, GDPR (General Data Protection Regulation) is finally upon us, it took effect on 25th May 2018. It may be a punishment from the EU for the BREXIT vote or it may simply be a way of looking after our privacy on the internet but whatever it is, if you own a website, it applies to you. For those of us without legal training GDPR seems at best difficult and daunting and at worst threatening and very, very scary. 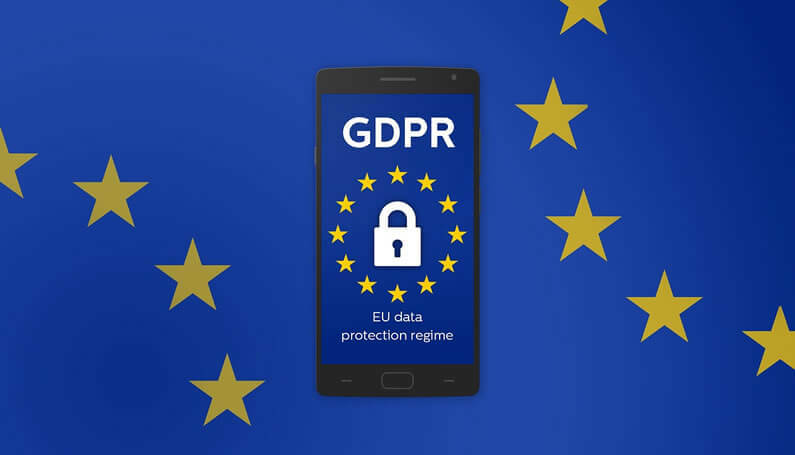 Fortunately, there is a lot of high quality information and guidance available to help you find your way through the GDPR maze and there are tools that will help you implement it. In this post I’ll share the information and tools that I’ve found useful and mention a few GDPR items related to this website. Hi everyone. Just to let you know that many of the links on this site are my affiliate links. What that means is that if you click one of them and buy something… I get a commission. It doesn’t cost you anything extra and I only recommend things that I’ve tried and tested, so please, please, please… use my links. Cookies, cookies anyone for cookies? A clean version of the WordPress code without plugins doesn’t set any user related cookies. It only sets cookies when a site admin logs into the backend of the system. In this case, you don’t need a cookie consent on your website, as there are no cookies. For this website I chose the Cookie Notice by dFactory plugin as my cookie consent solution. This plugin has 600,000+ Active installations, a five star rating and is super easy to setup. I worked my way through the various headings, adding / changing text as necessary and deleting headings that don’t apply to this site. Divi Theme is a fairly simple site from a privacy point of view but if you have an eCommerce site or engage in more complex collection or processing of personal data, you would have to look in detail at the sections for “data protection” and “data breach procedures”. WordPress used to store the commenter’s name, email and website as a cookie on the user’s browser. This made it easier for users to leave comments on their favourite blogs because those fields were pre-populated. In order to comply with GDPR’s consent requirement, WordPress has added a “comment consent checkbox” to the comments form with the text “Save my name, email, and website in this browser for the next time I comment”. If the user leaves a comment without checking this box, they have to manually enter their name, email, and website next time they leave a comment. WordPress has added Data Export and Erase Features in order to comply with GDPR’s data handling requirements and comply with users’ requests for exporting and/or removing personal data. These data handling features can be found under the WordPress Tools menu from inside the WordPress dashboard. These three tools aren’t enough to make your WordPress website GDPR compliant but they will get you moving in the right direction. 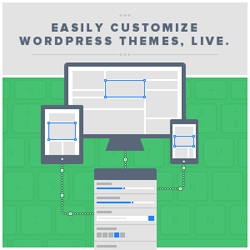 When you subscribe to Divi Theme, you are added to my MailChimp mailing list. This list is used to deliver published posts to subscribers. Each notification has an unsubscribe link at the bottom, which you can click to unsubscribe from the list. This list is used solely to inform subscribers of recent posts and we do not use it for any other purpose or share it with any third party. There are lots of GDPR resources out there and I mean a lot, but these are the ones that I’ve found useful. Those are the best resources that I’ve found but if you have your own favourites, please let me know in the comments below… after you’ve checked the “comment consent checkbox” of course. This is just my take on GDPR – but what do I know? GDPR took effect on 25th May 2018 so we are all still trying to figure out what it means and how it will impact our websites. Two things to bear in mind are: if you own a website, you can’t just ignore GDPR and a more comforting thought is that if you do a little reading and use the available tools, it’s not that hard to make your site compliant. Don’t forget folks, I have no legal qualification so this is just my take on GDPR and nothing in this article should be considered legal advice. If in doubt, you should consult a specialist internet law attorney to determine if you are in compliance with all applicable laws for your jurisdictions and your use cases. To put it in plain English, GDPR makes sure that businesses can’t go around spamming people by sending emails they didn’t ask for. My thanks and gratitude to Pixabay for the header graphic used in this post.